Being in Bangkok doesn’t mean that you always have to eat Thai food every day. Go international and satisfy your croissant cravings! 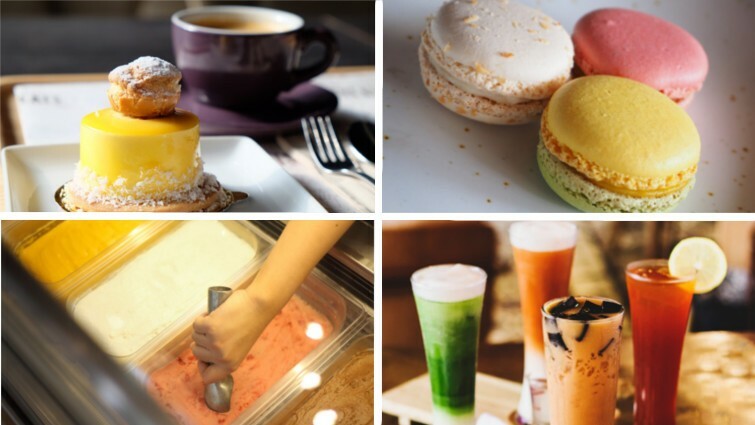 Experience the best bakery in Bangkok, Streats Bakery in Khaosan! Accor Hotels, the world’s leading French hotel chain bring bakery delights to Khaosan Road at the Streats Bakery. Indulge your taste buds with premium Hotel-level quality at friendly prices. 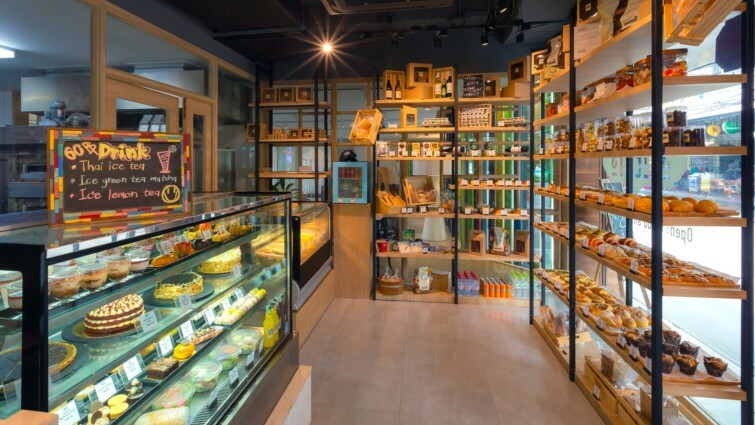 The bakery is small but is packed with delights and is quickly gaining the love of Bangkok pastry lovers. Open daily from 7am – 9 pm. Homemade sweet and savoury pastries, baked goods, ice cream & more. Daily “happy hour” with 50% off selected items from 7pm – 9pm. Wholesale bakery orders with delivery available. Stroll down Rambuttri road in the morning and you might get a whiff of freshly-baked pastries. From the moment Streats Bakery opens, the ovens keep rolling out baked treats both sweet and savoury. Adding to the choice are tempting cookies, cakes and mousses. Pastry Chef Colin and his skilful team make sure every day is full of dazzling treats. For cool refreshment, there’s always the classic choice: Ice cream. This cool treat is available by the scoop in cup or cone form and a hit with young and old! When it comes to prepping the perfect pastry, the secret lies in the quality of the ingredients. At Streats Bakery, all of the pastries are made using imported butter. Also, all chocolate used in the pastries and cakes is imported Belgian chocolate. The difference is right there in the flavour! Another highlight are the savoury Asian fusion pastries. Experience the best of East and West when you try such items like the spicy basil bun or curry puff. You cannot call yourself the best bakery in Bangkok without signature items. Hotel guests and passers-by all swear by the humble butter croissant and chocolate brioche. Other hits? The blueberry cheesecake, macarons and tiramisu. But keep coming back to see what creative concoctions our chefs come up with. The caramel croissant combines a gooey caramel center with that popular flaky exterior. Or, if you want more on your pastries… how about an almond croissant brimming with toppings, or chocolate chip brioche twist that’s heavy on the chocolate chips! Every day is a chance to experience creative new flavours. 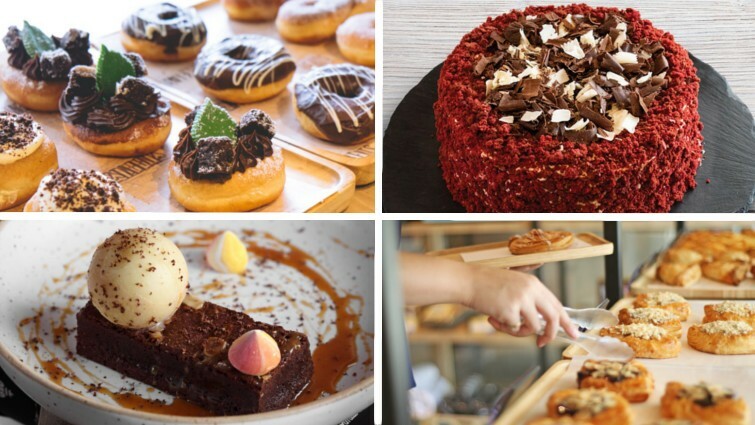 Streats Bakery adds to its best bakery in Khaosan, title with money-saving offers. A great deal for the lunchtime crowd are the daily selection of sandwiches, paninis and salads. Grab them to go in takeaway boxes, or sit down for a quick meal in next door Streats Bar & Bistro. Add a refreshing beverage to make things even better. There’s a full menu of fresh fruit juices, healthy smoothies, barista-brewed coffee and hot tea to choose from. Every day from 7PM-9PM, all baked goods are 50%! For repeat visitors, there is even a loyalty card where you can earn stamps for free food credit. MORE THAN JUST A BAKERY… IT’S THE BEST BAKERY IN BANGKOK! A delicious take on “snail mail”: Pick from a chocolate letter, complete with addressed envelope & stamp. Chic and chock-full of flavour: Swipe a bite of chocolate lipstick! Available in three colours – pink & blue (white chocolate) and brown milk chocolate. DJ, spin that snack: Bite into our groovy white chocolate CDs! Complete with a CD case, it looks so real you might put it in your stereo by accident. For other gift ideas, how about a bottle of wine, or a chic Streats baseball cap? You can’t call yourself a bakery if you don’t do custom orders! Of course, discerning cake lovers can order their bespoke creations right here at Streats Bakery. Cakes are available from 2lbs to 3lbs and can be made with your preferred flavour. Looking for some snacks for an event instead? Starting from 2 pieces at only THB 60 net with a bottle of water included, there’s an extensive selection of wholesale orders to choose from. You can pick the option that works best for you. Even better, if you order enough, delivery within Bangkok is free! Don’t worry if you’re visiting from another part of Bangkok. Make a day of it! You can park your car at the spacious onsite parking of the hotel. Even better, spending only THB 300 net gets you 5 hours of free parking! Need more time? Bump it up to THB 500 to enjoy 9 hours. That should give you ample time to explore Streats Bangkok and the many hidden charms of this neighbourhood. With all this and more, it’s clear that Streats Bakery has something for everyone. The selection at Streats Bakery keeps changing as well. Every holiday season or special occasion, you can bet that the team at Streats will have something special up their sleeve. So remember to keep coming back to be surprised and delighted! All baked goods lovers can rest assured that their cravings are in good hands at Streats Bakery in ibis Bangkok hotel!